Home India and New Zealand India vs New Zealand 2nd T20 Cricket Streaming. India vs New Zealand 2nd T20 Cricket Streaming. India started their T20I campaign against New Zealand on a disappointing note and a strong comeback will be expected from the Rohit Sharma-led Indian side when both the teams clash in the second encounter on Friday. India lost the series opener by 80 runs, which also was the biggest defeat for the Men In Blue in this format of the game. 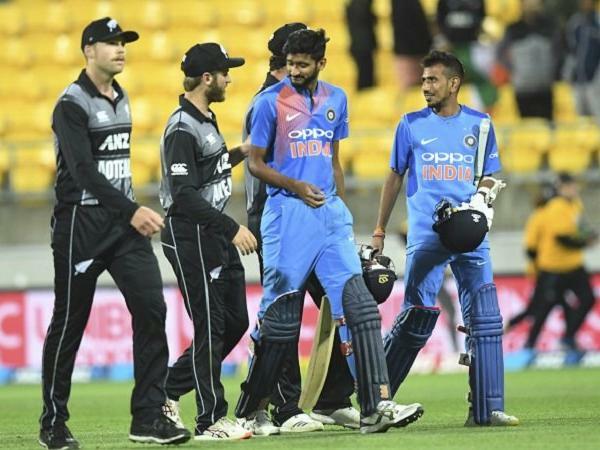 The Indian team was dismantled by Kiwis in both the departments, as New Zealand amassed 219 in 20 overs and wrapped up the Indian innings on 139. Going into the second match, India could field Siddharth Kaul or Mohammad Siraj in place of Khaleel Ahmed, who gave away 48 runs in his 4-over quota. All-rounder Krunal Pandya was also not effective and looking at Kuldeep Yadav’s tremendous run in the just-concluded ODI series, the team management might consider including the leg-spinner. The 2nd T20I between India and New Zealand will take place on Friday, February 08, 2019. The 2nd T20I between India and New Zealand will be played at the Eden Park in Auckland.